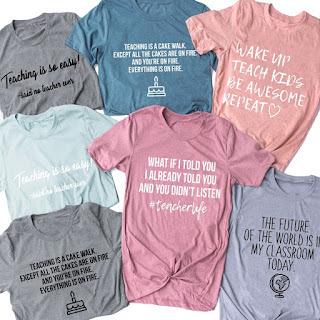 Grab a Teacher Gift Tee for $13.99 (Retail $36.99). It's the end of the year, all teachers give a cheer! These tees are the perfect gift for any teacher, with so many relate-able graphics to choose from! $4.99 for the first item and $1.99 for each additional item. US only. Ships no later than Sat, May 19. 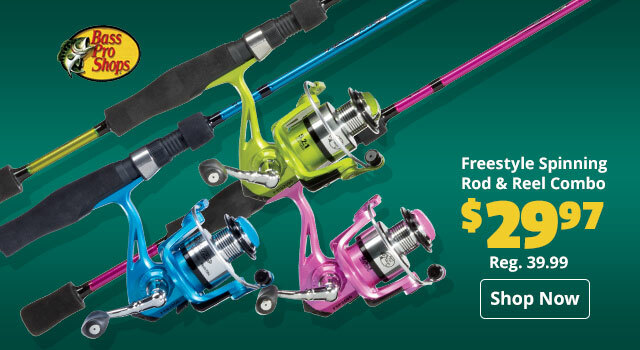 This week Bass Pro Shops are offering these Freestyle Spinning Rod and Reel Combo for $29.97 (Retail $39.99). Our Bass Pro Shops® Freestyle Spinning Combo is a general-purpose freshwater rod and reel setup that's perfect for everything from lightweight panfish and trout to heavyweight bass and catfish! Our Freestyle Spinning Reel boasts a graphite frame, sidecovers, and rotor for reduced weight, strength, and corrosion resistance. Also equipped with a double-anodized aluminum spool and a 6-bearing system that includes Powerlock™ instant anti-reverse, this fun-to-fish reel offers smooth, dependable performance. The Freestyle Spinning Rod is built on a RT1 Graphite 2-piece blank formulated to be strong and reliable when it counts. Components include corrosion-resistant stainless steel guides with stainless steel inserts, comfortable EVA split grip handles, and a graphite reel seat for great sensitivity. Through tomorrow, 5/4, get one of these Rose Gold Pineapple Tees for ONLY $13.99 (Retail $29.99)! Hello summer! Add a little sweetness to your wardrobe with a rose gold pineapple tee! 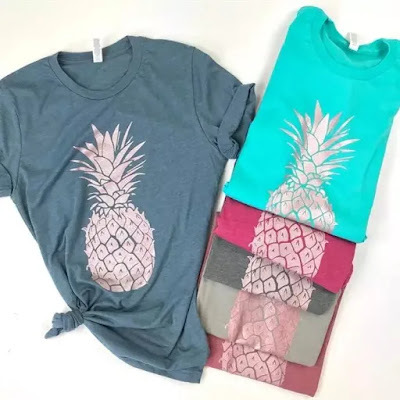 The pineapples are printed in a shimmery rose gold ink on your choice of heather gray, teal, mauve, slate, stone or raspberry tee. 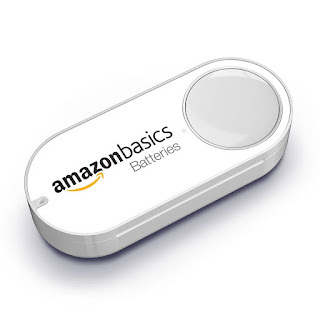 Right now Amazon Prime Members can get this AmazonBasics Batteries Dash Button ONLY 99¢ (Retail $4.99). •Amazon Dash Button is a Wi-Fi connected device that reorders your favorite product with the press of a button. Each Dash Button is paired with a product of your choice, which is selected through the Amazon App on your Android or iOS smartphone during the set-up process. •Free after first press. Buy Dash Button for $4.99 and receive a $4.99 credit after your first press. •Easy to use. Press Dash Button to order your favorite products and never run out. •Buy with confidence. Get the same low prices we offer on Amazon.com. •Order Protection. Ensures Dash Button responds only to your first press until your order is delivered. Right now online at Best Buy you'll get these 60% or 66% Off Select Takeya 20-Oz. or 30-Oz. Insulated Stainless Steel Tumblers! That makes the 30 oz Tumblers ONLY $9.99 (Retail $29.99). Achieve your daily hydration goals with this Takeya ThermoTumbler. It holds up to 20 to 30 ounces of liquid and keeps cold beverages chilled and hot beverages warm to the last drop. This Takeya ThermoTumbler is made with insulated food-grade stainless steel and has a double-wall construction that won't sweat. Valid 5/3 or while supplies last. 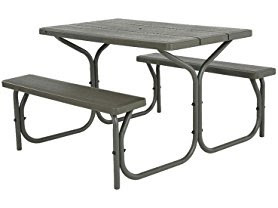 Today only and while supplies last this Lifetime 4-Foot Picnic Table is just $99.99 (Reg. $199.99)! The 48"x 28" high-density polyethylene tabletop is stain resistant and easy to clean. This model comes in brown with a bronze 31.7mm frame and includes an umbrella hole and cap. Single box packaging. Constructed of heavy-duty high-density polyethylene and a powder-coated steel frame, made entirely in the United States. The tables are completely waterproof and can endure weathering and rain without chipping or cracking. 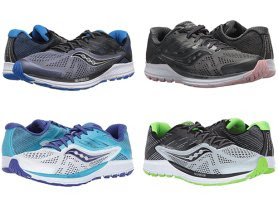 Hurry over to Woot.com because today only (5/3) these Saucony Men's and Women's Ride 10 Running Shoes are just $59.99 (Reg.$120.00)! The 10th edition of the ride franchise brings plenty of new innovation while still delivering a legendary running experience. 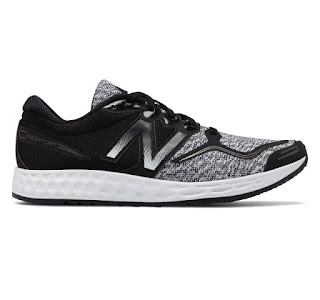 Featuring a brand new engineered mesh upper, woven heel collar and refined tri-flex outsole design, the ride 10 moves with the runner and cushions every foot strike. Make every run a "10" in the brand new ride. 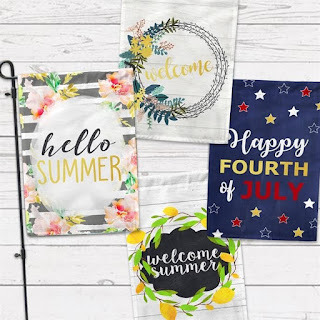 Check out these Garden Flags ONLY $9.95 + Free Shipping. Each flag measures 12"x 18" and is printed on premium polyester material designed for outdoor display that will be lasting decoration for your home. **Flag pole is not included. Today ONLY (5/3), you'll snag these Insulated Tumblers for $13.99 - $15.99. VACUUM INSULATED - The Simple Modern Spirit wine tumbler is vacuum insulated, making this stemless wine glass the perfect gift accessory! This technology keeps your beverage hot or cold for hours. Specific details for each size are listed in the description and the featured photos. This reusable cup will never sweat or be hot to the touch. SHINY POWDER COATED 18/8 STAINLESS STEEL - This insulated cup is made from premium gauge 18/8 stainless steel. We have chosen from the most popular colors, the shiny powder coating is durable and gives the container a textured and vibrant finish. This FDA approved tumbler will never rust or leave a bad metal taste in your mouth. PREMIUM COPPER COATED INSULATION - The exterior of the inner wall, in the vacuum sealed area, has been dipped in copper for added insulation. Copper reduces the transfer of temperature, adding even more insulation to your tumbler. TAKE IT WITH YOU - This travel mug will keep your beverage the same temperature as long as possible and the clear lid makes it easy to drink out of on the go. This is perfect for the office, road trips, sporting events, use at home and so much more. Take us with you as you make a positive impact and show the world who you are!